A plant that used to be killed as a weed could soon be farmed for essential fatty acids. Innovative research sponsored by Defra shows that Corn Gromwell, rich in omega-3, could potentially be grown commercially in the UK for the first time. Corn Gromwell is native to Europe, North Africa and across Siberia and Western Asia and has also been introduced into the USA. Until recently it was best known a common weed in spring cereal crops. Essential fatty acids are needed to support our nervous, cardiovascular and immune systems. They can’t be made in the body so have to come from our diets. Corn Gromwell contains stearidonic acid (SDA), an omega-3 fatty acid. It will have the potential to be marketed as a supplement or included as an ingredient in foods. has a higher yield and is easier to harvest than the only commercial non-GM plant source of SDA, Echium. The oil produced from Corn Gromwell is a source of n-3 polyunsaturated fatty acid (PUFA) stearidonic acid (SDA). There is some evidence that SDA is converted to the n-3 PUFA eicosapentaenoic acid (EPA), which is found in oily fish. Plant sources rich in SDA do not replace fish as the main source of the long chain PUFAs EPA and DHA. This project was sponsored by Defra under the Sustainable Arable LINK programme, which supports collaboration between industry and academia for high quality pre-commercial research that furthers the sustainable development of the arable sector. 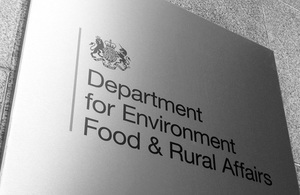 The programme is closed to new projects, as Government support for such collaborative research is now provided through the Sustainable Agriculture and Food Innovation Platform. Further information on the project can be found at http://www.niab.com/pages/id/319/Corn_Gromwell.